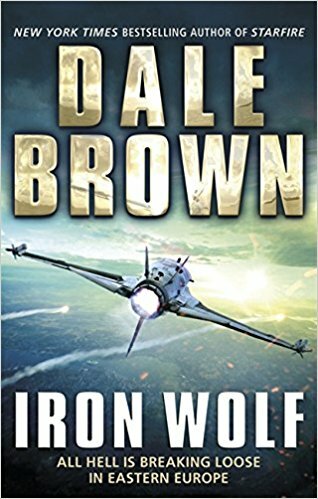 As a complete ignoramus about both military tactics and weaponry, and political manipulation and subterfuge, I found the scenarios described in Iron Wolf absolutely riveting and almost too realistic for comfort. 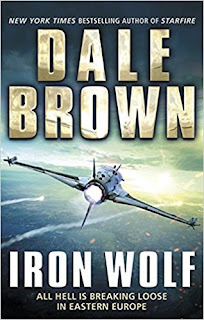 These topics - particularly the use of high-tech weapons - are covered in minute detail in Iron Wolf, where small teams of current and ex-service personnel fight to protect their country’s and the free world from the aggressive, bullying tactics of Russia. The book describes two struggles: that of fighters in the Ukraine who are determined to stop the further annexation of, and ingress into, their territory by Russian troops; and the terrifying threat of the Russians marching back into Poland. Initially the struggles are fought independently with widely differing methods. Later they become linked as others following malign agendas manipulate and finance the fighters in the Ukraine as they strive for goals that are more concerned with whom has power in Russia than in any praiseworthy notions of local or international peace. Kravchenko leads the fight in the Ukraine. Initially a brave and patriotic soldier, Kravchenko has become embittered and has lost his perspective to the extent that he doesn’t care what he does, or how many of his fellow countrymen he kills, as long as he gets his revenge on the invading Russians and anyone who colludes with them. When Poland is tricked into a potentially devastating armed dispute with the Russians, America, led by a self-serving, naïve, female President Barbeau, refuses to help, and NATO does nothing. But help is at hand. Aware of the gaps in the armoury and defense systems of his country, ex US President Martindale has not been idle. He has set up Scion, a company that that develops novel weapons and updates redundant equipment and planes to be fit for the twenty first century. One of their innovations is the CID, otherwise known as a Cybernetic Infantry Device. This is a fast-moving tale that even those uninitiated in the arts of war and politics can enjoy. There are obvious parallels with what is happening in the world today. I had not read any of Dale Brown’s previous books, but at least one of them, Starfire will definitely go on my list. 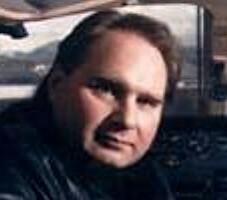 Dale Brown is a former US Air Force captain who served as a navigator from 1978 to 1986. He can often be found flying his own plane over the skies of Nevada. Angela Crowther is a retired scientist. She has published many scientific papers but, as yet, no crime fiction. In her spare time Angela belongs to a Handbell Ringing group, goes country dancing and enjoys listening to music, particularly the operas of Verdi and Wagner.